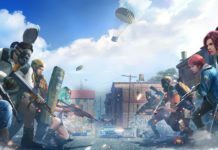 ROS Update: I know all of you are waiting for Latest Rules of Survival update. 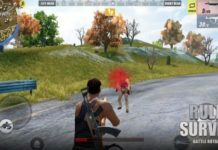 Because in Latest version Many of Bugs Error removed and new features come.Rules of Survival is a game of Adventure and shooting.In this game player mission is to survive the fight and kill other by saving yourself.This game was released for Android, Windows and iOS in November 2017.Now Rules of Survival is very popular game.ROS Patch Notes 7 February 2018 is given below you can check out.Rules of Survival team released the latest version of ROS Game.Also, check ROS for Pc Download. 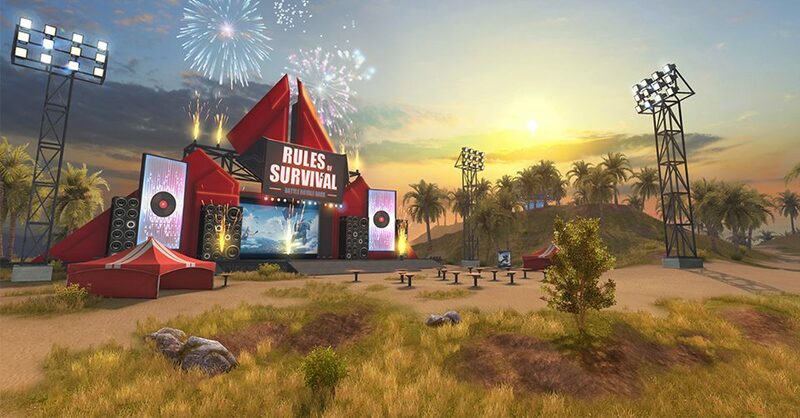 Rules of Survival will undergo an update on March 21. Check the maintenance times below to see when it takes place in your region. – The RoS World Championship (RWC) finals will be held in Shanghai on March 24, where competitors from China, the United States, Thailand, Germany, Philippines, Russia and Ukraine will battle it out to win the championship and grand prize of USD 500,000. Players can watch the competition live in the game, and check out the exciting performances from competitors the world over. – During the RWC global finals, players can predict game results and win generous prizes for correct predictions. – Blitzkrieg Mode option added for battles. Available only in Solo Mode on the Fearless Fiord map, and is limited to 40 players per round. Each game generally lasts less than 10 minutes. Players can only parachute into the Safe Zone, which is randomly selected on the map. Players are provided with the following equipment when they land: 30 Desert Eagle bullets, beginner backpack, beginner bulletproof helmet, and beginner body armor. Blitzkrieg Mode reduces the time in each Safe Zone, and accelerates the pace of the game. There is no Red Zone in this mode but item refresh, parachute and air-drop mechanisms are still the same. Ranked Game points are not available in Blitzkrieg Mode. – Red Packets added. Players can scatter this item in the game for others to pick up. You can exchange red packets picked up for rewards once the game has ended, but players who leave the game whilst still in the Prep Zone will not be entitled the rewards. – Optimized matching algorithm to improve matching speed and corrected the method used to calculate the total number of players waiting for a match to exclude players who are currently in the Prep Zone. – Resolved issues concerning freezing and memory. – Lean button is concealed when the player is crawling. – Optimized vehicle handling by increasing the differentiation between forward and reverse driving, and the friction coefficient of tires on different types of terrain. – Optimized the action of jumping through windows. The character will now leap rather than standing erect when jumping out of windows of a high-rise buildings. – Optimized the sound and button effects for the add friends and mail systems. – Optimized the Tune interface for vehicles with added dynamic effects. The order for interface tags in the Workshop has been modified. – Optimized report page by adjusting how players that can be reported are listed. Now in Latest ROS Update Facial Accessory items added. New Weekly Fashion Pack also added in store, which will be cost Around 20 diamonds. In ROS Potential drops include 200 Gold, Regular Supply Tickets, M4A1 Honor, Champ Eye Patch (Legendary), Champ – Hairstyle & Face, Pumpkin Head, Cowboy Hat, Bear Parachute and Postie Set. In this Repeat items from the Fashion Pack can be converted into shards whose quality will be lower than shards of the same rarity.And many more changes come. Now store’s clothing inventory. Added Hazmat Set, Cowboy Hat, and M4A1 Blood Oath Camo. And, Also added a new Seasonal Pack and Echo Valley Champion Pack. In this Game Updated advanced supplies. Updated regular supplies, added a Latest new Hip-Hop set. The limited-time White Lovers event has now begun! Now Players can own any Colorful Lovers pieces, can go to the Benefits and collect a Bonus White Lovers Set. ROS Updated the 10 Diamonds Sale event. Removed the Windbreaker Set and added the Firefighter Set. New Surprise Pack to the Weekly Pack is also added. Players will still potentially loot clothing, Cap or Supply Tickets, but now also have the chance to get the Hazmat Mask. Updated Top-Up Bonus: Now, if players top up a certain amount, they will receive the Echo Valley Champion Set for free.Download ROS Android APK. In the General experience Continued improvement of anti-hack measures. All the Vehicle and sprinting-related performance optimization is increased. 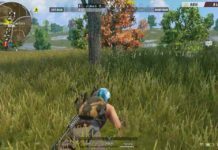 In Rules of Survival game spectators can now see the Lean movements of the player being spectated. New “Number of spectators” indicator to the post-death game observation interface is Added in Latest ROS Update. In latest update NetEase team Optimized the appearance of custom room characters, and improved the accuracy of character model. look preview functions is Optimized for weapeon and parachute . Players can now preview the looks from any angle. Now players can also preview regular supplies, elite supplies and advanced supplies. When Player using the “Share Look” function, character’s Face type, hairstyle, and headwear will now also be visible. Now Players can save an equipped look for each gender respectively. The saved look will be changed along with the gender. Optimized the appearance of Player Avatar in latest ROS Update. Optimized the tapping sensitivity of menu interface. In this Update Optimized in-game lobby, increased compatibility for iPhone X. When game matchmaking process was successful then mobile phone vibrate. When the game is loading then game name display. Optimized the Weekly and Monthly Packs in ROS menu. Now in latest version Optimized the BGM of parachute stage. Player footstep audio is also Improved. Parachute movements is also update. Corrected an issue where the Weekly Pack purchase limit feature would not work properly. Corrected an issue in which items purchased on PC would not be added to the player’s inventory. Fixed a bug where players were unable to find their friends sometimes using the search function. Fixed a bug where the letters in the “Observe” button within the post-death menu were not centered correctly. Also Fixed a bug where a teammate’s overhead marker would switch abnormally. Fixed a bug where after a player’s death, unfinished medicine would continue to restore HP. Fixed an error where friends would be ordered incorrectly in the team-up interface. Fixed a bug in the Friend Recommendation menu when players hit the Refresh button too quickly, the page would display abnormally. Fixed a bug in the observation mode where some sounds broadcast will delay. Fixed a bug where while observing an enemy player, the camera angle would sometimes go through walls.You can also Download ROS for Mac. So these above given are list of changes come in latest Version of Rules of Survival Game. Previous versions of android is V1.126941.129336.if you want to know more about latest ROS updates then contact us I will provide you more information.If you like our article then share it with your friends.